Most families would prefer creating a space that can be used in addition to only cooking and entertaining, a space that is multi-purposeful for everyday hectic life. This would mean planning for a kitchen space that can accommodate kids fixing a quick snack whenever needed, efficient for those cooking in the area and at the same time being able to be comfortable to socialize or to gather in. For this purpose, each space is unique to every family therefore space planning and layouts need to be customized to achieve the right results. 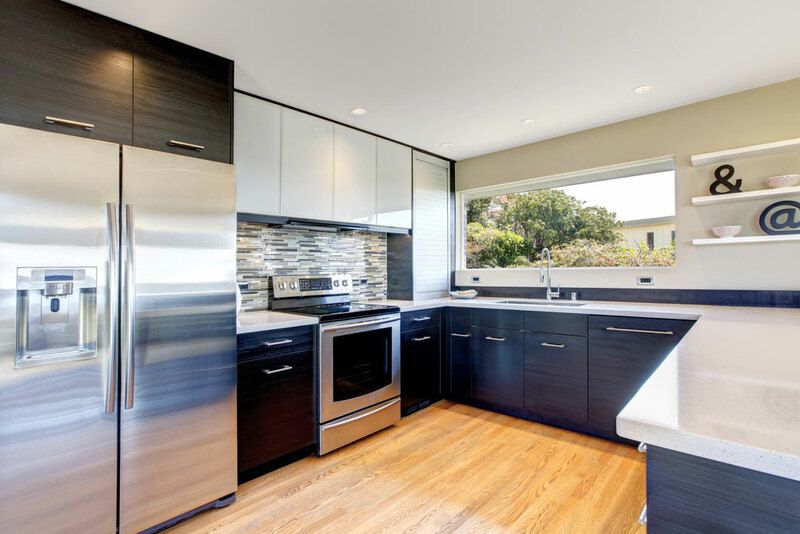 Before you can consider an upgrade take time to assess the current limitations in your kitchen and the goals you are trying to achieve in terms of the types of layout, appliances, lighting, cabinetry, functions etc. How many family members prepare meals at one time? Do the kids also prepare quick snacks? Are pets are a part of the household? Do you often cook for family gatherings and is the kitchen being used regularly to socialize . With families using the kitchens there is often plenty of activity and traffic for most parts of the day. With increase usage, comes cleaning-up and maintaining the space. For this purpose the surfaces in the area has to be low on maintenance to avoid staining and strong on durability. Quartz surfaces are highly durable in comparison to natural stones as it is not as porous. Minimize the use of glass around areas where there is continuous activity. Storage to food items and an easy access to it is often overlooked during planning. If you are storing your food items in cabinet with drawers, it is always recommended to have fully extendible drawers for all the items stored to be visible and easily accessible. Also, floor to ceiling extend pantries can be incorporated to store food items. Items that do not have immediate need can be stored on the top section of the shelf and everyday items on the bottom. Combining the adjacent dining room or even the living room has been getting very popular in urban spaces in Goa. Families spend a lot of time together in the living room as well as the kitchen, therefore combining the two will help bring together both these environments.